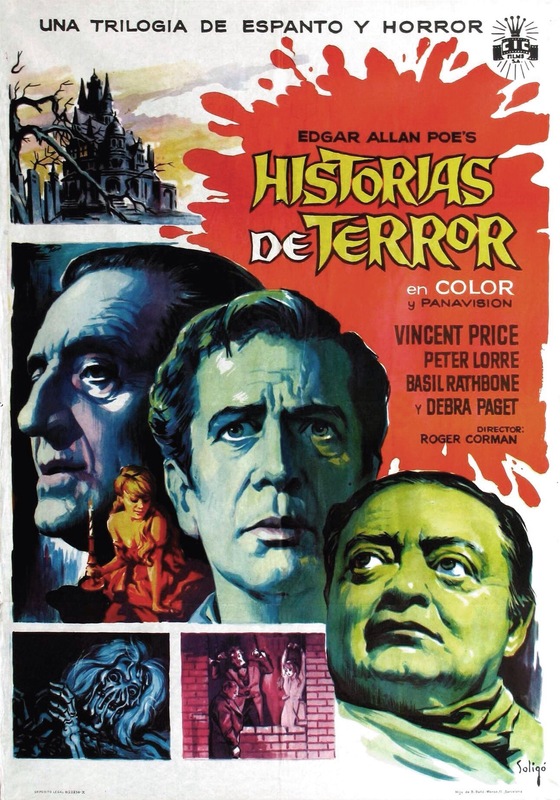 After the success of House of Usher in 1960, Roger Corman directed several films based off the work of Edgar Allan Poe and many of these films starred Vincent Price with a few written by Richard Matheson and all three are together again in the 1962 release of Tales of Terror an anthology based off the work of Edgar Allan Poe. 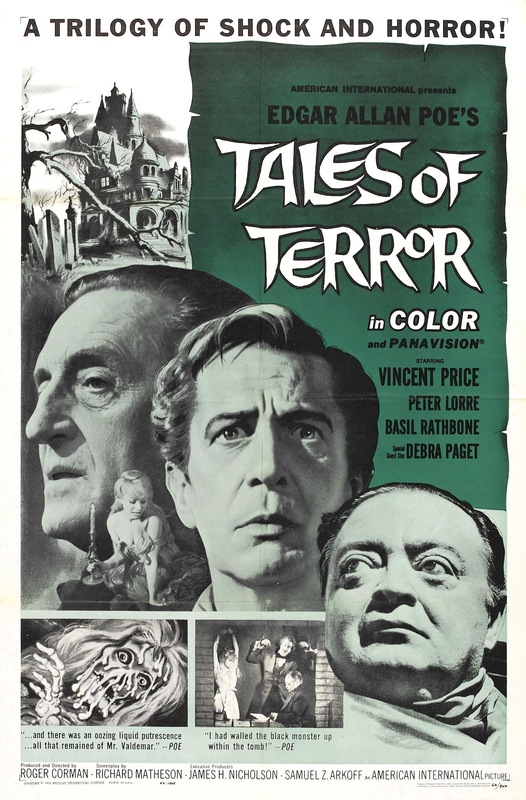 Besides having the talents of Corman, Matheson and Price, Peter Lorre and Basil Rathbone also star however despite the amount of talent involved I quite honestly found Tales of Terror rather dire and I’d probably rate it as the worst of the Roger Corman films based off the work of Poe. However Tales of Terror also gets a lot of positive reviews, but for me it just wasn’t working and I found it a bit of a chore to get through. In 1993 Dario Argento and George A. Romero would team up for Two Evil Eyes, which was meant to be a TV series based off the work of Poe and in Two Evil Eyes, both filmmakers would direct a segment. 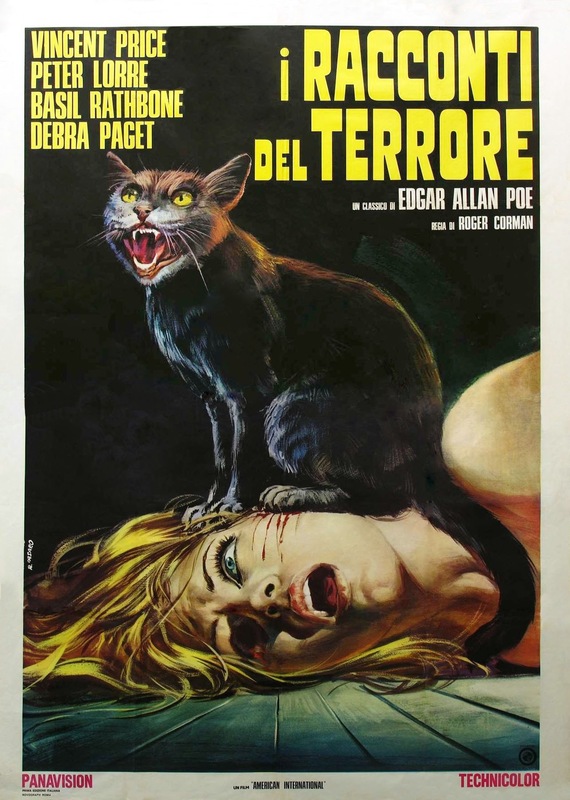 Argento had the Black Cat and Romero the Strange Case of Mr. Valdemar and both those stories were also used in Tales of Terror. Two Evil Eyes never became a series, but regardless I found it far better than Tales of Terror. All three segments were written by Richard Matheson who was an excellent novelist and screenwriter, but in my opinion this wasn’t one of his best scripts. The first story is Morella and after not seeing his daughter since she was a child Lenora (Pierce) returns to see her father Locke (Price). A few months after Lenora was born her mother died and she blamed Lenora as does Locke. While the story itself was interesting I’m not sure if it was interesting enough for a segment and this is something better off as a short story. While the ending was solid everything else just felt like filler. 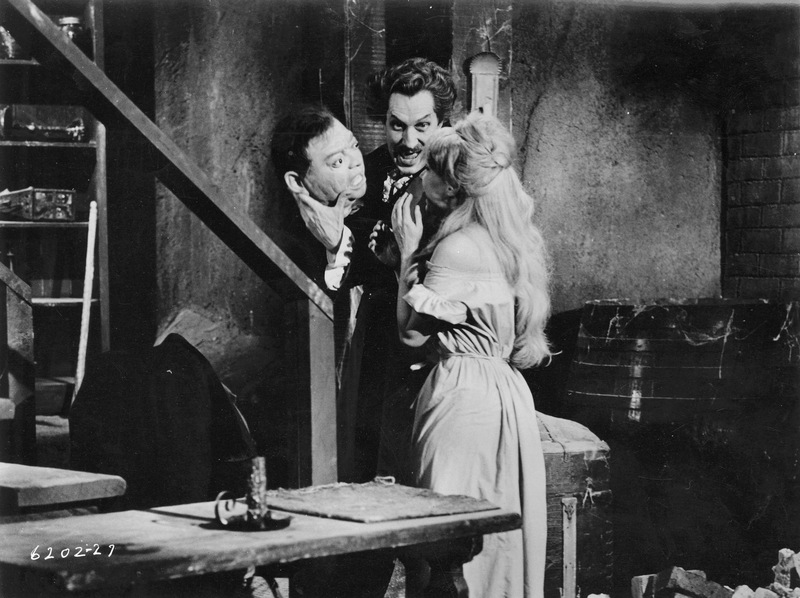 The 2nd segment the Black Cat has Montresor (Lorre) after Fortunato Luchresi (Price) for an affairs with his wife. This segment is silly and campy, but the problem is everything feels too forced and in my opinion this was the worst of the anthology. 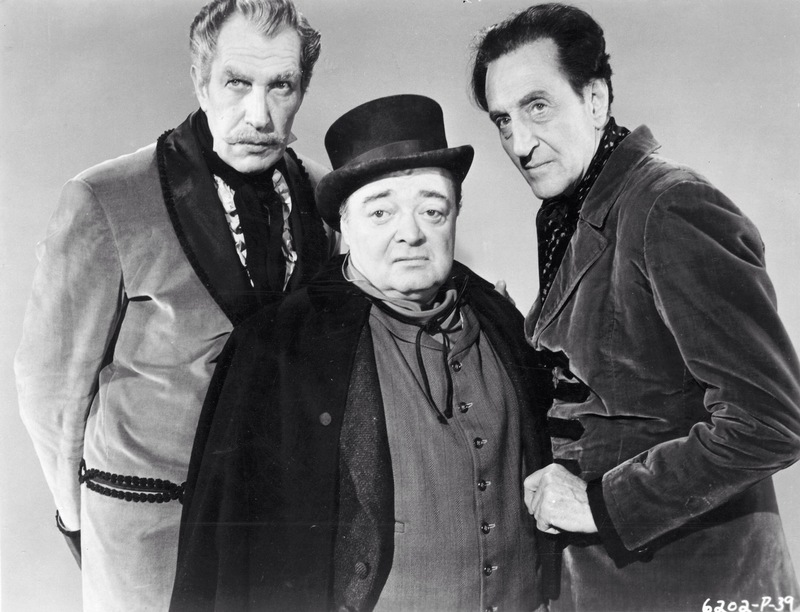 The last segment the Case of M. Valdemar has Carmichael (Rathbone) a hypnotist trying to prolong the pending death of Ernest Valdemar (Price). The last segment was the strongest in terms of writing, but it also kind of lacks. By this point the film kinda lost me, but the Case of M. Valdemar was overall the strongest. 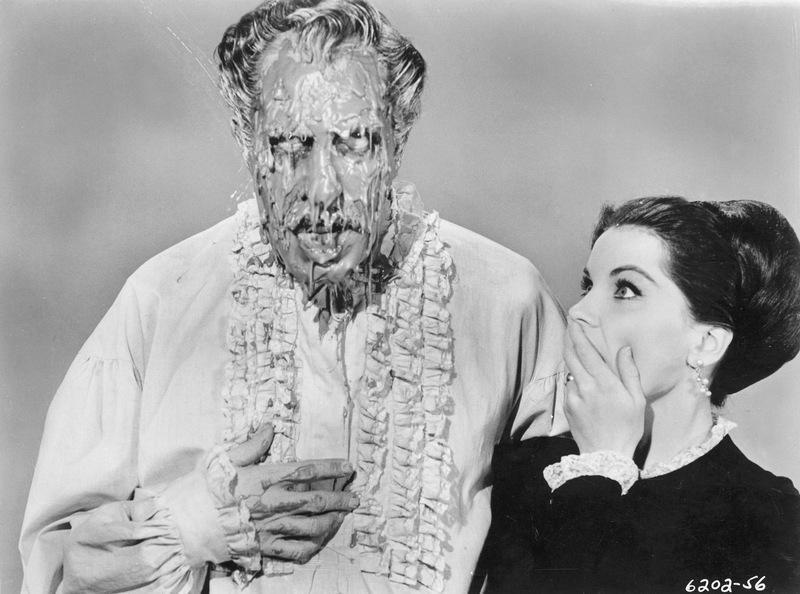 Roger Corman was an excellent director and people tend to forget how good he was, but Tales of Terror isn’t the film to showcase that. Pacing is sluggish and the films just lacks the excitement. Morella just sort of lacks any sense of direction and Black Cat was a total camp fest, but like how the writing felt forced so did the direction. With a better script, Corman gets things on track in the final segment, but by this point I really didn’t care as I zoned out, but pacing was generally stronger. The saving grace were the performances, which were excellent. 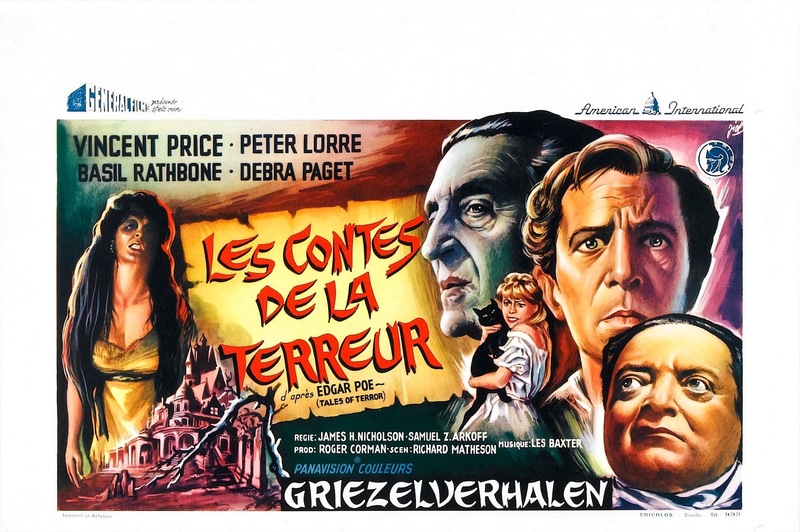 Vincent Price like always is terrific and while I strongly disliked the Black Cat the only redeeming factor was the performances by Price and Peter Lorre who worked wonderfully together. Basil Rathbone also gives a great performance and if only everything else was better this could have been something special. Overall Tales of Terror in my opinion was rather poor and more often than not I was quite bored throughout. 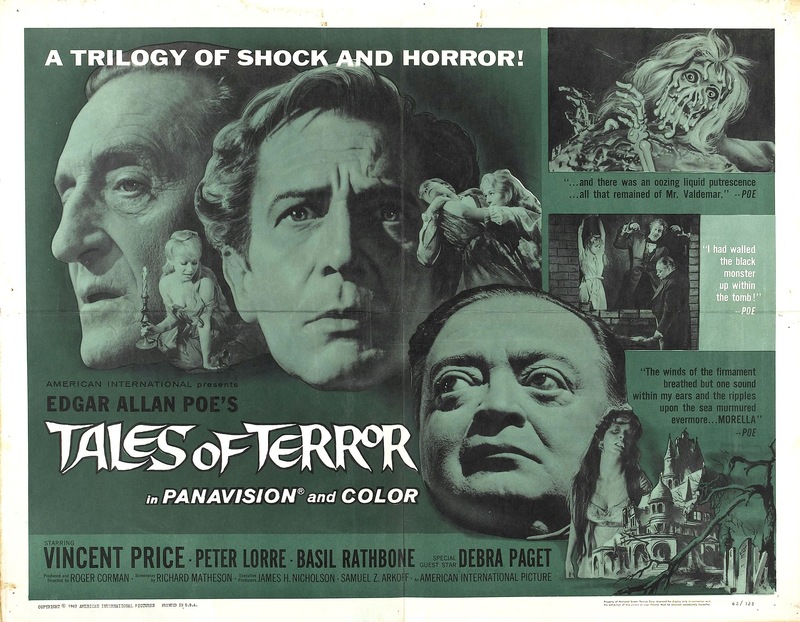 Tales of Terror would probably rate as my least favorite film Corman made based off Edgar Alan Poe. As I mentioned a lot of people tend to like this one, but for me it was a total waste.